We present YOO, an upscale, design oriented apartment building, created by the original vision of yoo by Philippe Starck, the world's most sophisticated residential designer. This ocean front residential tower is located in the heart of the Avenida Balboa offering striking views of the ocean and Panama Bay. Panama has never seen anything like it, and you will experience the difference from the moment you enter the lobby exclusively designed by Starck. 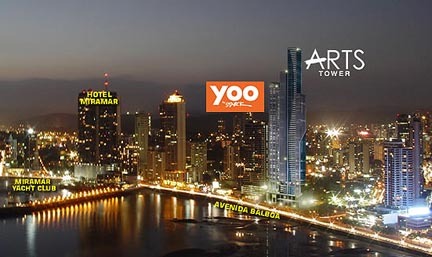 Yoo Panama is located in the heart of the Balboa Avenue, a spectacular strip that borders the ocean and offers magnificent views of the Panama Bay, Panama City and the Panama Canal to its residents. It is also conveniently located within walking distance from main recreation centers and the banking district. Yoo by Starck designed apartments are a collaboration of ideas, with the experience of the world's most celebrated designer, Philippe Starck, matched with the vision of John Hitchcox, co-founder of the Manhattan Loft Corporation. 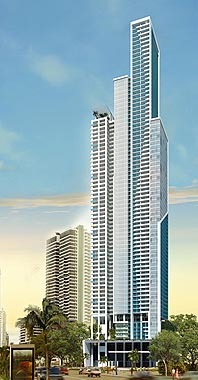 Yoo buildings are located in every major city including New York, London, Hong Kong, Miami, Buenos Aires, Tel Aviv, Hamburg, and now in Panama City, Panama.